As the Latin music scene develops, so grows the need for more extreme forms of expression. Hohner's new Corona Xtreme line addresses just those needs. 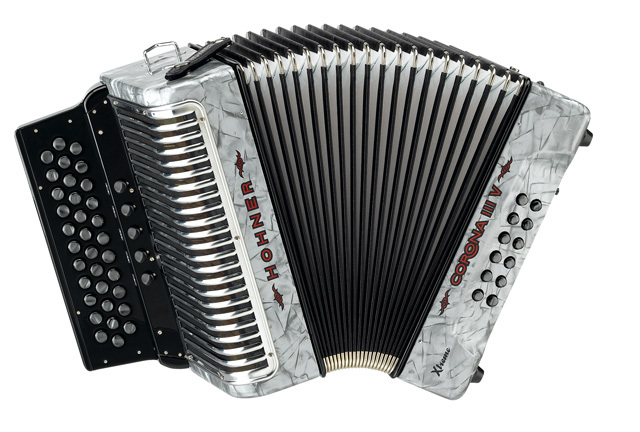 Whether its Norteno, Vallenato or Tex Mex, The Corona Xtreme provides more playing options and extreme comforCorona III V Xtreme, 3 voices per note in MMM double tremolo tuning and with a 34 button keyboard, the perfect combination for that classic Hohner Vallenato sound.